It’s extrude hone porting in Houston TX. Whereas hand porting can only improve surfaces that hand tools can reach, extrude hone porting in Houston TX can improve the entire passageway and carries no risk of ripples or unevenness. In extrude hone porting, a putty-like polymer media loaded with abrasive grit is passed through the passages in a manifold under pressure from a hydraulic ram. As the polymer runs through the part, it becomes a flexible slug that sands away material evenly on all sides of the hole or passage. Our polymer media is designed to allow the abrasive grit to recirculate constantly, so that fresh abrasive is always contacting the surfaces being honed. The process can be controlled with a high degree of precision to ensure that the porting gets done to the exact specs you have calculated will enhance your engine. Extrude hone porting in Houston TX can deliver many benefits for any passage that gas or liquid will be flowing through. For an internal combustion engine, the most important part to extrude hone is the intake manifold. However, we can also hone other vital parts and ensure they are perfectly flow matched. The exact benefits you’ll see in each of these areas after extrude hone porting in Houston TX depends on how your engine is configured. However, you can expect to see up to 25 percent increase in flow after honing an intake manifold, which will give you an idea of how much performance will improve. 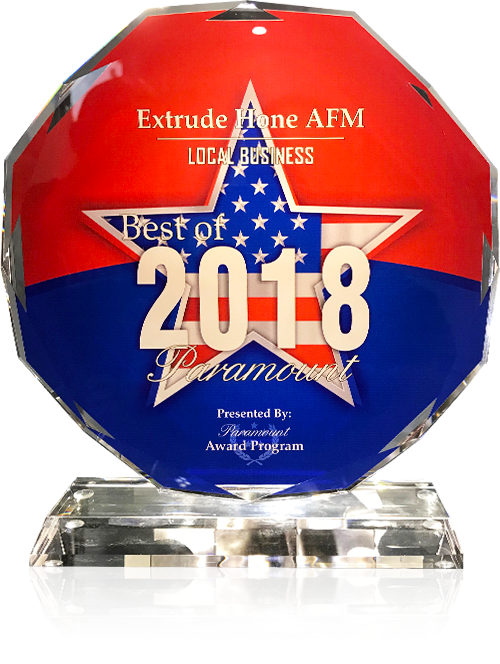 Extrude Hone AFM is a master of the entire process of extrude hone porting in Houston TX. We have thousands of pounds of polymer media on hand to enable us to start your project sooner and get you enjoying your improved engine performance faster. We are happy to provide quotes and more information about extrude hone porting. Please call (562) 531-2976 now or use our online contact form to reach us.